If you knew something bad was about to happen, would you stop it? How far would you go to prevent an uncertain future? The line in the sand has been drawn, and everyone must choose – do you stand with Iron Man, or with Captain Marvel? That question will be answered this June as heroes and villains across the Marvel Universe make their decision in CIVIL WAR II: CHOOSING SIDES #1 – debuting this June! 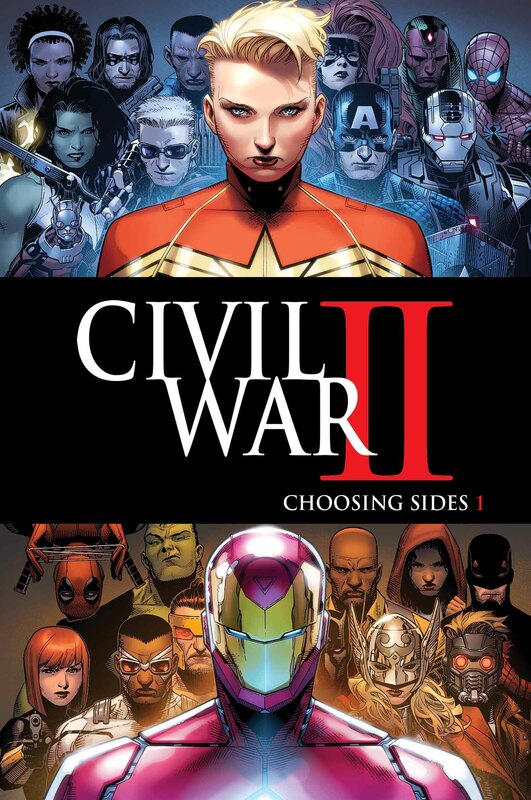 Featuring fan-favorite characters and top-tier creators, each issue of CIVIL WAR II: CHOOSING SIDES contains three all-new stories detailing the conflict taking place throughout the Marvel Universe. First, comic superstar Declan Shalvey (Moon Knight, Deadpool) pulls double duty as he writes and illustrates a Nick Fury story running through all 6 issues of CIVIL WAR II: CHOOSING SIDES. Which side of the issue will Marvel’s premier super-spy fall on? Plus, Brandon Easton (Marvel’s Agent Carter) and Goran Sudzuka (Wonder Woman) bring you a tale of Night Thrasher and Chad Bowers, Chris Sims and Leonardo Romero present the return of Damage Control! But that’s not all! Future issues of CIVIL WAR II: CHOOSING SIDES will feature Jessica Jones, Power Pack, the Punisher, War Machine and more! Those are just a taste of the characters whose lives are about to change. Will the fight to protect the future? Or battle to change tomorrow? Find out this June as Nick Fury, Damage Control and Night Thrasher choose their sides in CIVIL WAR II: CHOOSING SIDES #1! 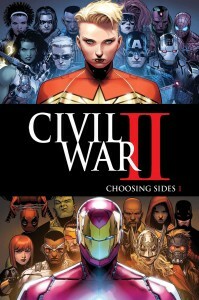 For more on Civil War II: Choosing Sides, visit Marvel.com for an interview with Shalvey, Sims, Bowers and Romero!